Winemaker owner since 1825, the Domaine Aucoeur is established at Villié Morgon. Its crus are impleted on 12 hectares of on the most prestigious wines of the region: Morgon, Fleurie, Chiroubles, Saint-Amour, Moulin à Vent or Beaujolais Villages. The Domaine Aucoeur is the oldest family vineyard in Villié Morgon. 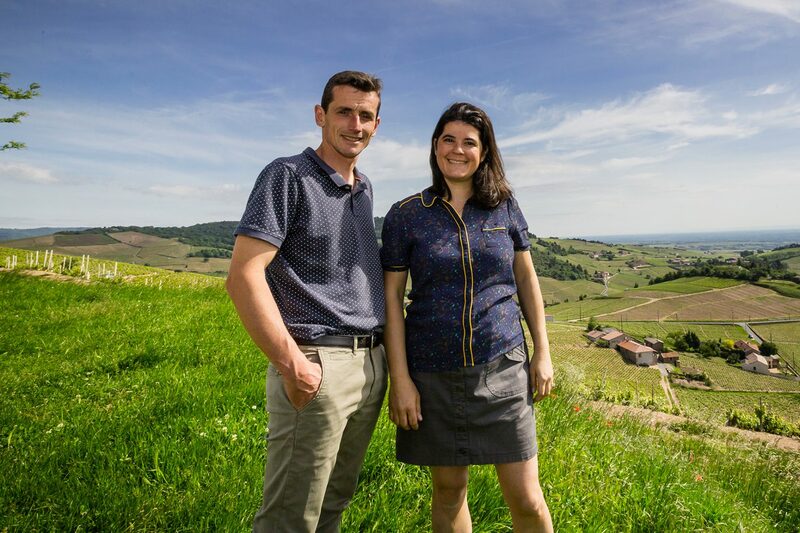 Located in the heart of the Crus du Beaujolais, in a hilly area and hillside, Arnaud and Melanie AUCŒUR warmly welcome you to their cellars to taste their wines. You will also appreciate the remarkable panorama on the Alps. Our doors remain open throughout the year. Located on siliceous and clay soil, granite sandstone and gravels, Saint Amour is at the crossroads between the Mâconnais and the Beaujolais Crus. Its style favors expression and fruit. While many vintners sell exclusively to the cellars, Arnaud, driven by values of discovery, transmission and sharing, seeks to understand how to diversify its distribution channels. For him, work on the channel’s brand image is essential to go out to meet wine-lovers, from the most novices to the most experienced. The Vignoble Aucoeur is conducted by the eleventh generation of winemakers : Mélanie and Arnaud open our cellars with pleasure and passion. In 2006, supported by Melanie’s investment, Arnaud brought out his old notebook and decided to pursue his first ambition: Discovering and sharing the resources of his land. At the end of the days, Arnaud crosses the vineyards of Beaujolais, Morgon and Macon territory in other to observe how things are going there. 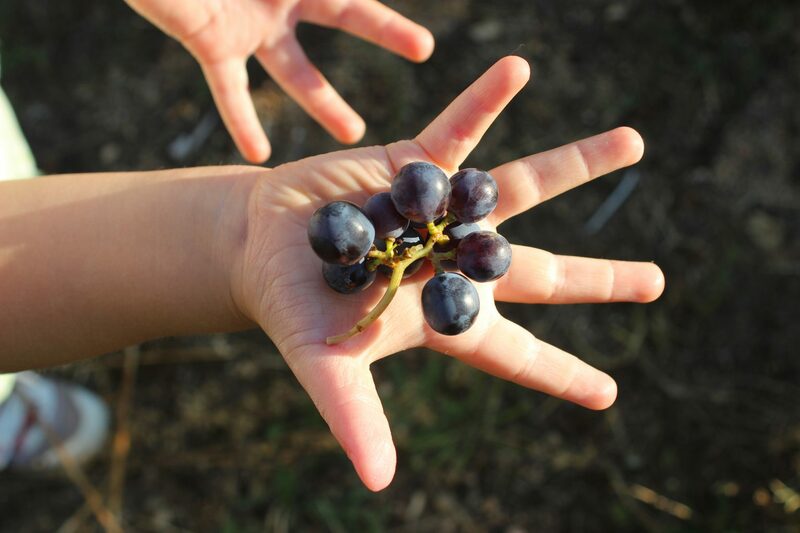 The explorer is moved: “firstly, we have the vines, their tone, their personality, and behind these, there is always a man, a family, the time and so many sacrifices to raise them. That’s why every first meet has its own perfume”. For us, wine is a lifetime opportunity to share, taste, discuss and take good time with friends and family. If you want to undersand our passion ans enthusiasm, do not hesitate to come at home and visit our cellars. We should welcome you like family and taste together our few cuvees of our production. Feel free to contact us by phone or mail each time your are in our beautiful Beaujolais area.